56 Commercial Real Estate and Properties in Central Wa are listed in 7 categories. We have 23 Offices for Sale & Lease , 17 Industrial Warehouses for Sale & Lease , 6 Development Lands for Sale & Lease , 4 Retail Shops for Sale & Lease , 3 Hotels and Leisure for Sale & Lease and 2 Showrooms for Sale & Lease . First National Real Estate Kalgoorlie is pleased to offer this well fenced and secure corner property in South Boulder for sale. The property can be accessed from both Leviathan Street and Waverely Street giving good access and egress for movement of large machinery. The 270m2 Workshop is situated in a good location on the lot, it has four (4) access doors plus an extra high double door. Workshop also has plenty of three phase power, a swing arm fixed crane and heavy duty compressor. Attached to the rear of the workshop is an additional 100m2. This houses good sized offices, caretakers quarters, kitchen, amenities and extra storage space, along with R/C air conditioning and surveillance system to shed and offices. 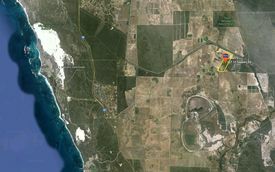 Zoned General Industry 2024m2 Land 270m2 (Approx.) Workshop 100m2 (Approx.) office, amenities and accommodation 3 phase power Swing Arm fixed crane Heavy duty compressor Surveillance system Good access to yard and workshop Council Rate $2450 p.a. (approx.) Water Rates $250 p.a. (approx.) Properties like this don't come along often! Call Dee today on 9021 0341 or 0417 889 413 for a private inspection and to find out more info about this great property. Two Storey Office Building In The Cbd $6000.00 pcm + GST + Outg..
Are you looking for an office block to accommodate multiple office staff? This office block is approximately 250m2 and is located directly behind Hyway Deli and will be available for occupation from 1 July 2016. Office comprises of a reasonable size reception area and 6 large offices with the added benefit of a large training room. There is ample of parking on site for staff and clients Reception area 6 x Large Offices Training Room Kitchen and amenities Zoned General Industry $2,300.00 pcm + GST + Outgoings Bond $2,530.00 Deposit of 2 x months rent required Call Dee today for a private inspection. Viskovich House - Spacious & Modern Office Building $3,950,000.00 - No GST - .. This well constructed office building, situated in the centre of Kalgoorlie's bustling CBD, boasts numerous office suites as well as a well developed site with plenty of parking and storage. 1778 SQM total office space, 917 SQM ground floor office space, 861 SQM first floor office space, 4 storage sheds, Approximately 35 car parking bays to the rear of the property. 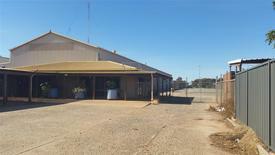 Call First National Real Estate Kalgoorlie for more information or to arrange a viewing. Modern 156m2 (approx) high clearance shed for lease. Rear free standing shed being one of two on this property with stackable sliding doors which allow ease of truck delivery entry. Includes 3 phase power. Asking rent $1,000 per month +variable outgoings of approx $305 per month. Dont miss this bargain phone Dave today 0427 146 327. 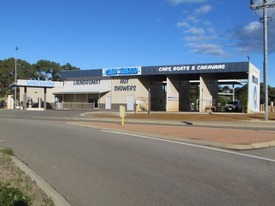 Excellent opportunity to secure a central retail/office space, ideally situated in central Geraldton, located close to prominent businesses with plenty of pedestrian thoroughfare. Area 110sqm approx ground floor premises ideal for retail or office with large shop front, fitted out with lighting, carpet, air conditioning and 2 car bays. Long lease available. Currently used as an open plan office. The property has NBN. For more information and viewings please contact David Tyson at First National Real Estate phone 0427 146 327. This 280 square metre premises current use is a health studio but would be suitable for a wide range of uses. The layout of the building includes; Open reception / retail area Meeting room / office Large open studio or administration area Utility room/Storage room Kitchenettes and 2 x WC including a full disabled bathroom and toilet. Large storage / garage area with rear access roller door. New paving to the front and rear with excellent street parking to the front, neutral colours will be painted throughout on handover. Previous uses have included office, deli and small supermarket. Good parking available and access. Contact David Tyson 0427 146 327 for further information. Workshops And Offices On Broardwood Street For Sale $705,000.00 - OFFERS INVI.. Huge Workshop Approx 1900m2 On Great Eastern Highway $18,700.00 PCM (including..